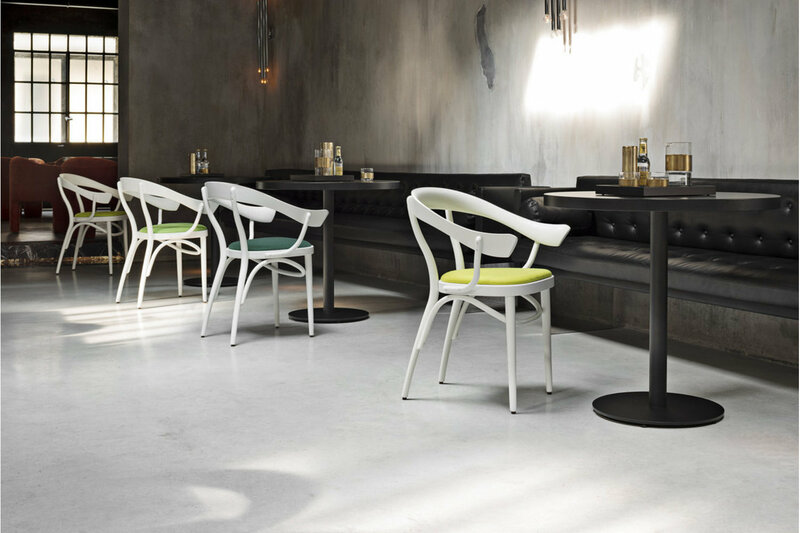 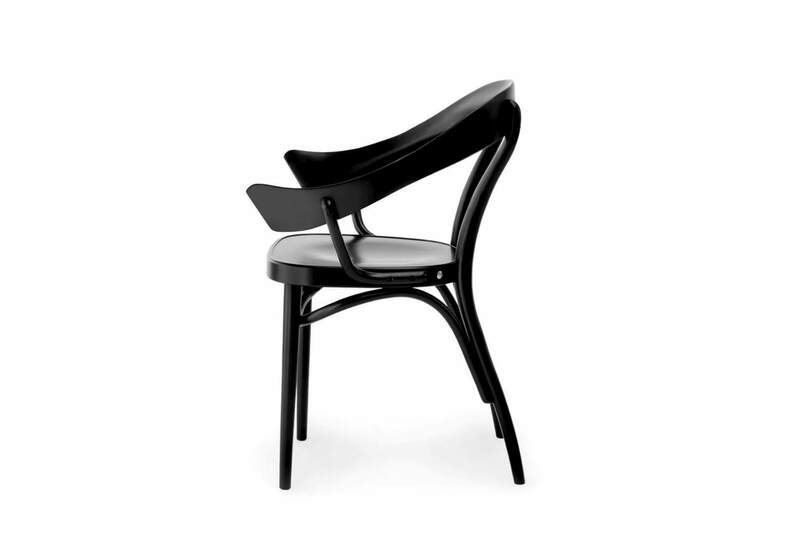 Nigel Coates presents the Bistrotstuhl lunch armchair, another exclusive contemporary interpretation of the traditional Thonet collection, which replicates the sinuous shapes of the Lehnstuhl lounge chair and the Bodystuhl chair. 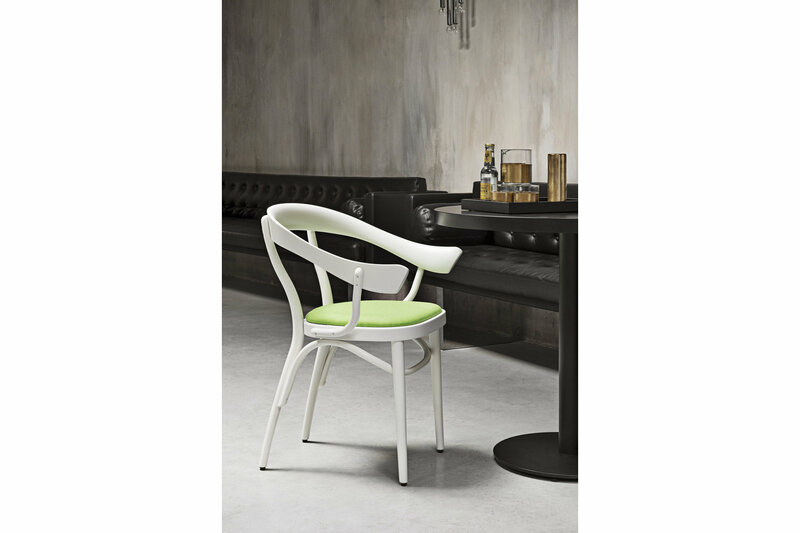 This is an extremely comfortable and ergonomic chair which stands out for its sculpted anthropomorphic backrest that evokes the triangular shape of human shoulder blades. 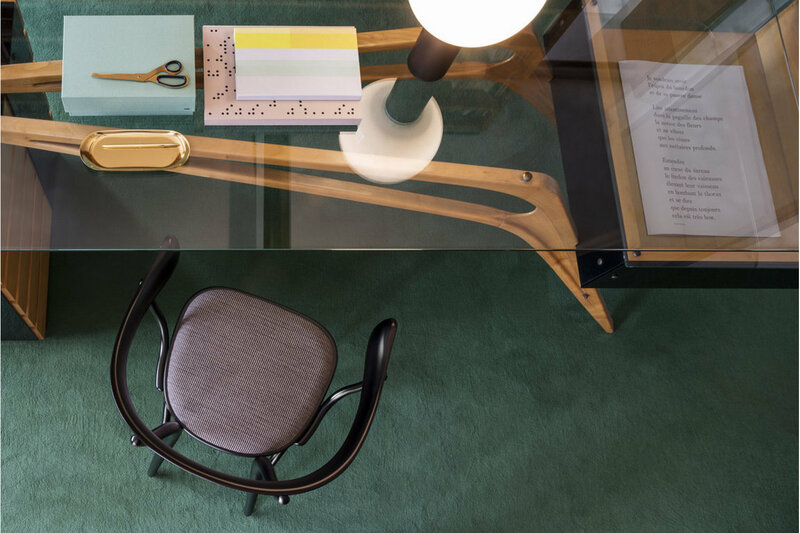 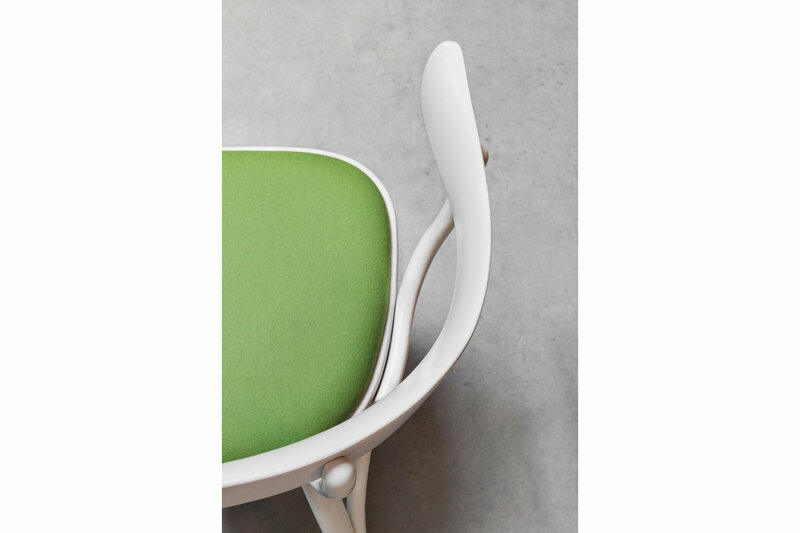 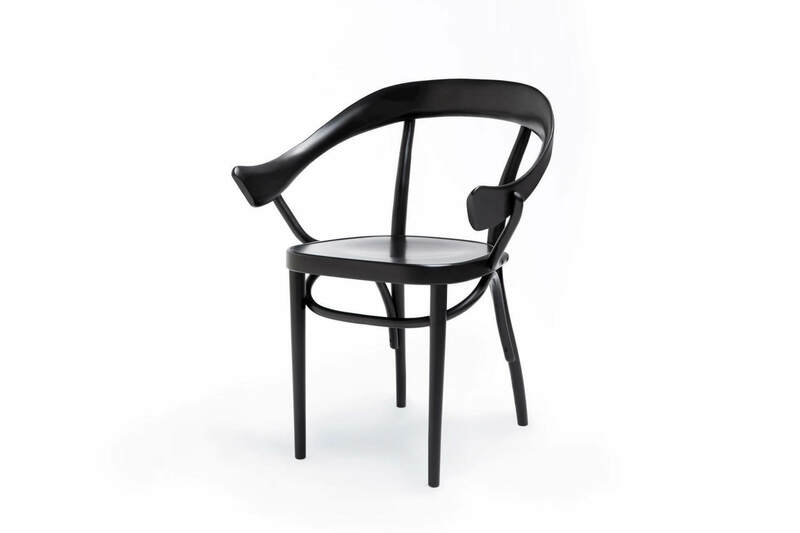 The backrest detail is inspired by Cafestuhl, the other piece added by Coates in 2016, but in Bistrotstuhl this detail is exasperated: the chair's organic lines, in harmony with its refined proportions, literally envelop whoever sits in it, with no solution for continuity, from the backrest to the armrests. 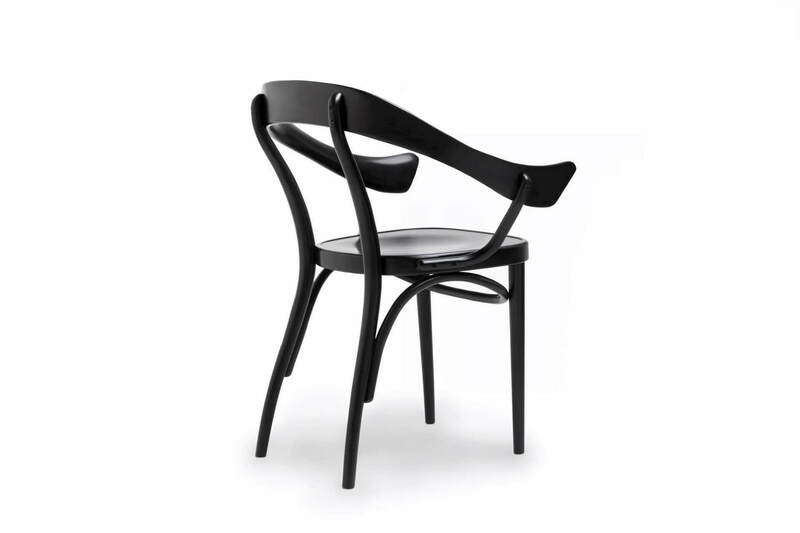 This elegant piece conceived for homes with a strong designer look but also suitable for contract spaces, features a serpentine pattern under the seat of the chair, an element which appears on all pieces designed by Coates for GTV.